Americans are eating outside of the home at the highest rate in history. In total, 45.3% of Americans eat out, a historial high. Though this is not solely Millennials statistic, they are the largest population of the generations who are eating out on a regular basis. Fast casual is poised to grow. Fast doesn’t always mean unhealthy and Millennials are keen to frequent establishments that are still healthy and/or organic. According to the Organic Trade Association, a majority of those who purchase organic are millennials (52%). Millennials are working harder than ever and position convenience as a major part of their food choices, with 44% saying that convenience is more important than cuisine (Convenience Store Decisions). Plant-based diets are on the rise. Up to 40% of Millennials report taking on a plant-based diet. Establishments with more plant-based offerings will do better with this generation of consumers. Meal delivery services save time from the store. It seems that every time you turn around, there’s a new meal delivery service: Blue Apron, Hello Fresh, Home Chef, etc. These services often offer regional, seasonal and organic options delivered straight to consumers’ doors, but this only saves the time at the store, not the time spent actually preparing the food. Search for the perfect experience. Though they do value convenience, they’re also not above standing in line for the latest and greatest food trend (think: cronuts and cupcake vending machines). 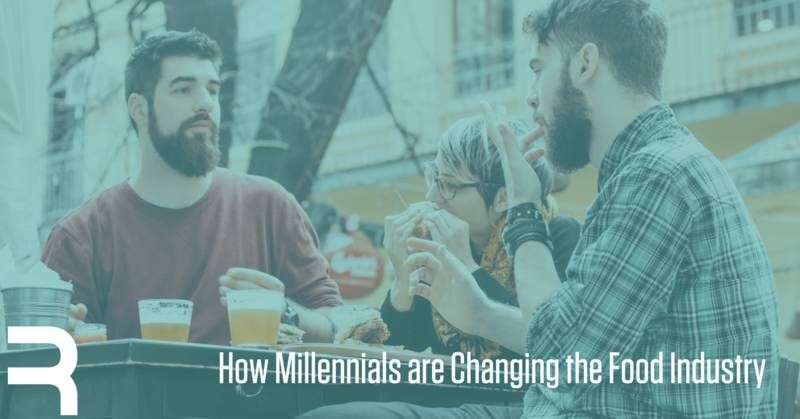 Millennials are interested in unique experiences that place them “in the know” as well, and the food industry would do well to not ignore this. Pop-up, casual restaurants with Michelin star chefs are another example of how the restaurant industry is taking advantage of this trend to create a distinctive experience for their customers. These trends can all be boiled down into the Millennials’ value of lifestyle. They want healthier options made convenient for their on-the-go lifestyles, but to also be a part of a broader food culture. They’re more educated and connected than previous generations and the food industry will benefit from watching overall cultural shifts and adjusting quickly to capture their attention.